Ok parents, are you ready? Time for your first challenge in our 2019 Spring edition! Since the weather has been amazing over the last couple of days, we will be going outside for some active play. Let's explore our own neighbourhood this week. Often we think we need to go far to find interesting places while lots of fun can be found right around the corner. Big plus: you're there in no time, leaving you more time for your activity. Any green space will do. 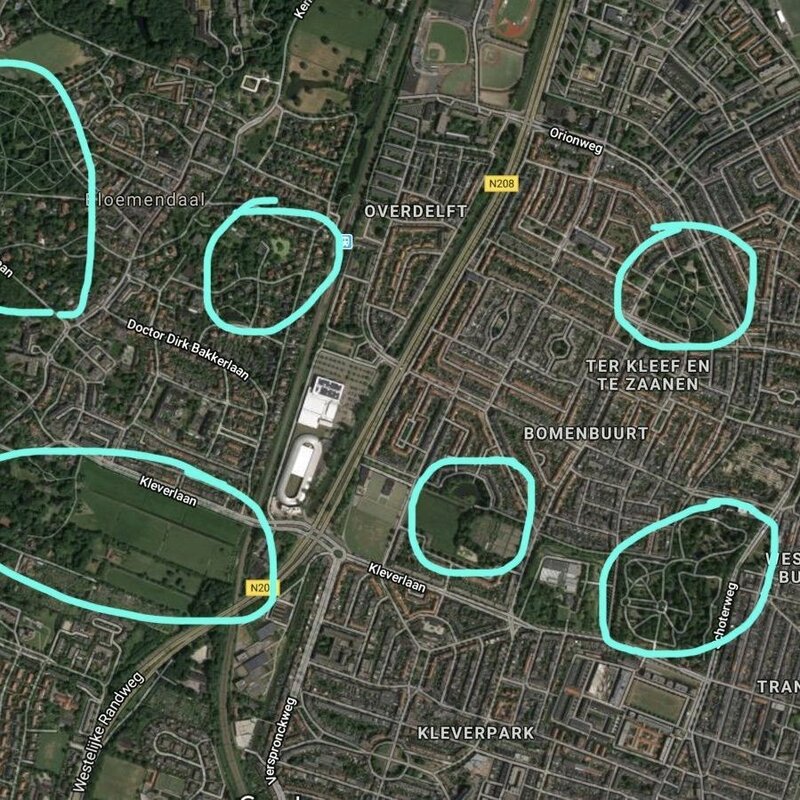 My little trick for quick inspiration: pull up the satellite view of your town on Google Maps and head to the nearest green space. 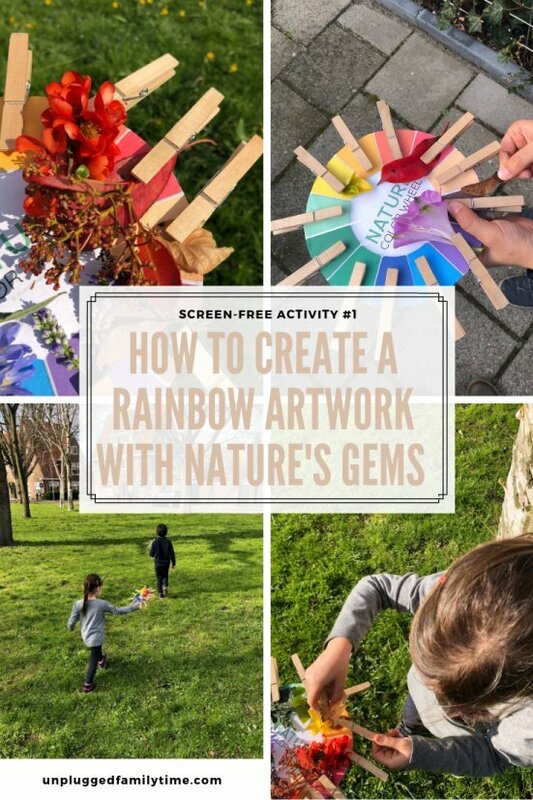 You are going to create a rainbow coloured artwork with nature's gems. Collect leaves, flowers, small rocks, grass etc. in every colour of the rainbow. Some colours will be more difficult to find than others (like blue) but most colours will be out there, it just takes a little detective work your little Sherlock will love. You could go completely free-style and just get outside unprepared. 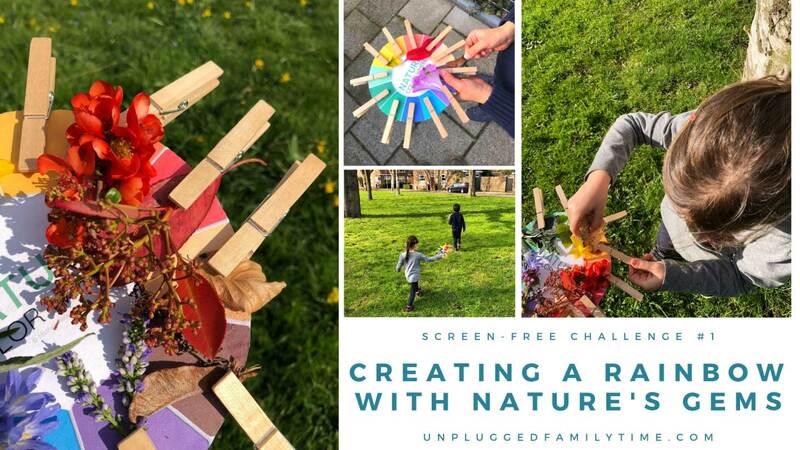 If you're more the organised type, browse some inspiration here (it's a pinterest board of rainbow nature crafts I've put together to get you going). Depending on the environment and the kids' ages, you can mix things up: only have them search for their favourite colours, or add a time limit and make it a race. You could also give your kids a magnifying glass or binoculars to make it more official. Fun way to carry all the treasures around: wrap your kids' wrist with tape (sticky side on the outside) and have them stick their items on their own nature bracelet. After finishing your rainbow, you might want to leave your rainbow art behind for others to find and enjoy. I hope you had a great time together searching for that last purple item or showing off your nature bracelet. We had quite some trouble finding that last blue item. Once back home, please send me a pic of your rainbow, or post it to FB, am curious to see the results! Want to receive the challenges directly in your Inbox? Just enter your details below and I'll send you next week's challenge on Monday, along with occasional tips for unplugged family time. 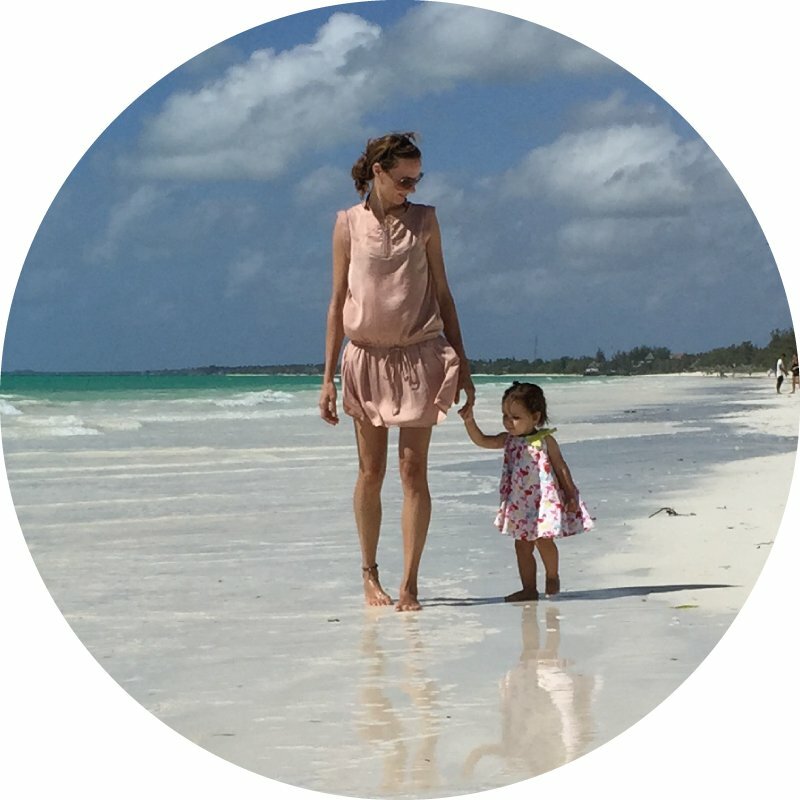 Karin Louzado is a Dutch expat mum of 2 who helps parents navigate parenthood in this digital age. 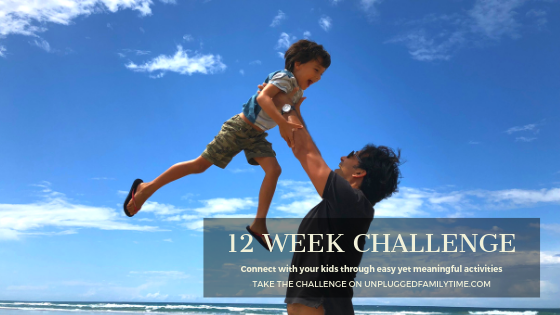 Join the 12 week screen-free challenge and learn how to simplify family time.